A DAY LONG RETREAT FOR PREGNANT MAMA’S. Be nurtured and nourished with gorgeous pre natal yoga and delicious food. This is a day to bond with your baby, relax fully and learn about optimal nutrition that will support you, your changing body and your growing baby. At the end of our time together, you’ll leave with a pre-natal yoga sequence to practice at home and pregnancy specific nutrition information that you will have covered through the day, including delicious recipes that you will have enjoyed throughout the day! A day long retreat for pregnant Mama’s to be nurtured and nourished. Enjoy gentle prenatal yoga and relaxation and an absolutely delicious, nutritionally rich lunch. You’ll feel deeply relaxed, you’ll feel nurtured and nourished and you’ll feel connected with your beautiful baby. During pregnancy, you and your baby function as one. When you contemplate that you are creating your own extra blood supply, making a placenta and growing your little babe in all of its intricate perfection, it is easy to link how your nutritional intake and your healthy body and mind are of the utmost importance. Your wellbeing at this time and your nutritional intake can not only provide the best start for your baby but can also affect your ability to have a great birth. YES YES YES! GREAT BIRTH IS TOTALLY POSSIBLE! Learn simple ways to support changing body and connect your growing baby. Alongside a small group of other pregnant women, you will be lead though a gentle strengthening and relaxing prenatal yoga sequence that has been especially designed to align the spine and make room for your growing baby. Together we will also learn specific poses that bring relief to some common pregnancy complaints such as nausea, reflux, back and hip pain, sciatica and breathlessness. Learn optimal nutrition that will support you and your baby during this special time. Through the day, we will spend some time learning about the fundamentals of prenatal nutrition and explore simple and inspiring ways to add extra goodness and nutrient dense content to what you eat every day. There will be plenty of time to sample things (we remember being pregnant ladies ourselves!) and together we will also share a delicious, nutritionally rich organic lunch. After lunch you will be guided through a beautiful pregnancy relaxation and learn calming breath techniques that you can practice now and take with you for the duration of your pregnancy, into birth and beyond. It may be the first time you have practiced yoga. It is not necessary to have previous yoga experience to attend this retreat. It may be the first time you have practiced yoga. While a degree of physical fitness is required, the yoga taught will be gentle and simple, pregnancy and beginner’s postures specific (with varying levels of complexity offered to more experienced yoga students). We have prepared a beautiful little booklet for you of all of the yoga poses and breath techniques we will be covering together throughout the day. This booklet also contains nutritional information, recipes from our yummy lunch samples and extra resources to support you during this special time. Penny, a mother of 4 has worked with pregnant and birthing families for 20 plus years, educating them and supporting them through birthing their babies and growing their families. She has attended hundreds of births, is an accredited childbirth educator and has a wealth of knowledge to share about thriving through this life transition. Laura, a mother of 2 is SAMA Studio’s principal teacher. She has been teaching prenatal yoga since 2013, beginning her prenatal studies soon after the birth of her first child – having been so inspired by the positive benefits yoga had on her pregnancy, on the birth and the postnatal period. Laura recognises how important it is to create space for woman to be nurtured, supported and celebrated especially so through the joys and challenges that present during this special time. Laura is SAMA Studio’s founder and Principal teacher. First introduced to Yoga around 10 years of age, she has fond childhood memories of chanting the ancient Gayatri Mantra, meditating, gazing endlessly at paintings of Hindu deities and playfully hanging upside down or putting a leg behind her head. By 2007 Laura was a regular student of Yoga and in 2008 her interest in Buddhist philosophy and mindfulness practices led her to taking vows with his HH the 14th Dalia Lama. In 2010, she began studying with Kate Pell to become a certified teacher and has been teaching Yoga as her full-time profession since 2013. She is a Yoga Australia Level 2 registered teacher. 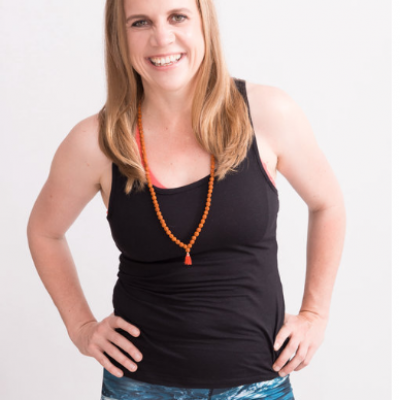 Laura holds over 1000 hours of formal Yoga teacher training and additional certifications in pregnancy, postnatal, kids, partner and community Yoga. Most recently Laura has taken opportunities to study intensively with and be inspired by the work of Noah Maze, Ana Forrest and Jose Calarco. She has assisted Kate Pell on Teacher Training Courses and has also studied with Donna Farhi, Simon-Borg Olivier, Sue Everett and Peter Scott in Australia and Rajiv and Swati Chanchani in India. Laura’s motivation to share Yoga and the gifts the practice brings with others are in service to cultivating and strengthening a greater sense of Kula – Community of Heart. Having also experienced first-hand the support a Yoga practice offers in times of trauma, illness and injury (a back break and then cancer in her late 20’s) Laura hopes to inspire and connect students to the wisdom and intelligence of their own bodies moving, to feel and know the resiliency and courage of one’s own Spirit. Drawing on a background working in Allied Health as a young adult, a strong interested in functional anatomy and healthy movement comes through in her teaching style. She sees that it is her job to help her students strengthen and condition not just touch their toes through the process of learning asanas. 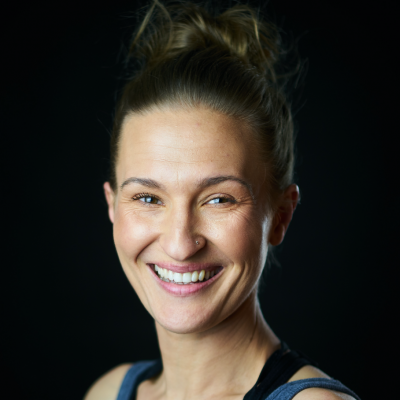 Laura is known for helping students connect to the intelligence of alignment and progressively builds her students to meet their edges in their practice – be it in a flow, alignment or restoration class. She shares information in a fun and light-hearted fashion, without skipping the particulars, weaving mythological storytelling and philosophy throughout. Falu and Michael have been involved in many of Kate’s trainings and join early in the course to share their knowledge of Yoga Physiology and Ayurvedic Cooking. Learning not only how to choose, prepare and consume food to suit your individual constitution, this weekend will give you first hand experience preparing (and eating!) many glorious Indian Ayurvedic dishes. Yogini, Yoga Teacher and Abundant Yoga Business Coach. Amy McDonald supports talented Yoga teachers and holistic practitioners grow abundant businesses through coaching, training programs, events and retreats virtually and around the world. Her primary teacher is Noah Maze. She has also studied Yoga philosophy over the past ten years with Carlos Pomeda, as well as taking philosophy trainings with Douglas Brookes, Max Strom and William K. Mahony. Dr Arpana is a retired GP, SCENAR therapist, senior yoga teacher, sound medicine practitioner and health coach. After 28 years as a GP specialising in musculo-skeletal medicine and medical acupuncture Arpana now devotes his full attention to being a yogi. Arpana together with his wife ShamanaTara, has been conducting whalesong yoga experiences since 2005 at Fraser Island Qld Australia. 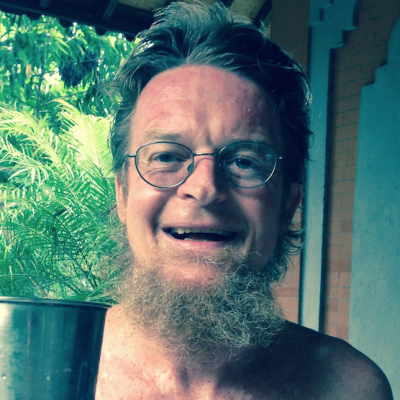 He also conducts a yearly didge yoga camp in Bali since 2010. Recently Arpana studied for 2 years with Guruji Ketut Arsana in Ubud Bali in Kundalini Tantra then completed a 200 hr yoga teacher training with Cat Kabira in yoga core energetics. Arpana has formed WhaleDreamers Yoga with his wife ShamanaTara, a senior Satyananda teacher of 19 years. Arpana brings his wealth of medical knowledge to the mat to offer a dynamic, fun and core experience to his students and will be delivering the functional anatomy and physiology . modules of the Teacher Training.